I. 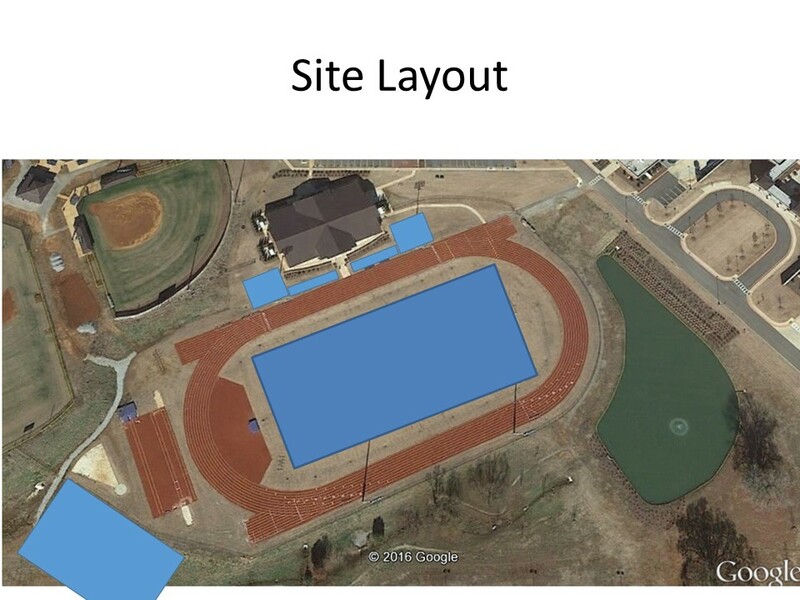 The addition of seating for 1000-1500 spectators at the James Clemens track and football practice field. This seating would allow for hosting of more events on campus, such as youth track meets, JV and ninth grade football which would be used as fundraisers for the program. II. The construction of a multi-purpose indoor training facility. 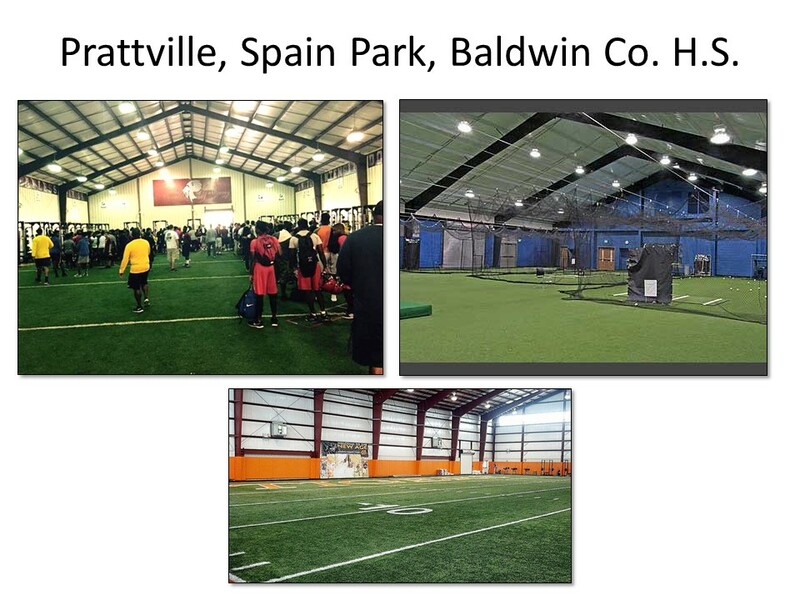 The indoor space will be turfed and is slated for use by multiple sports. 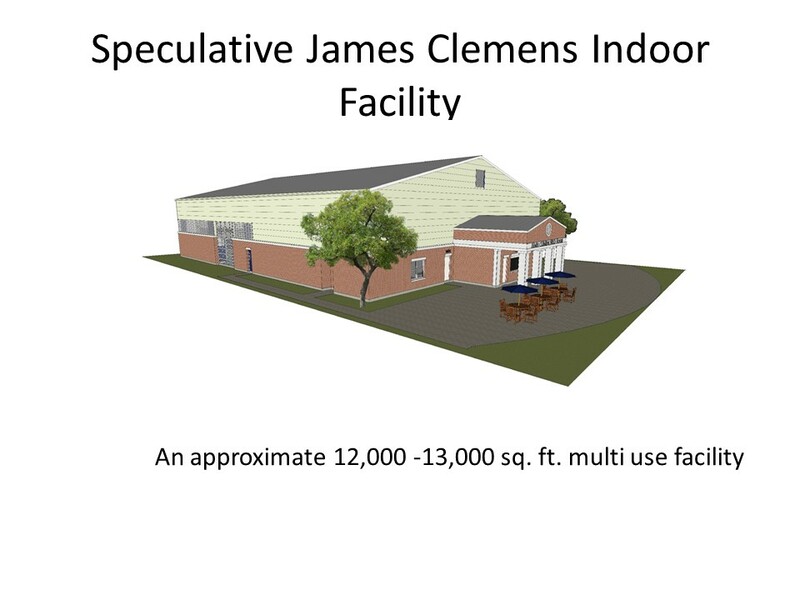 The facility is planned to house expanded locker room space, concessions, and bathrooms as well. III. Equipping the James Clemens practice football field with artificial turf and removable field goal posts. This phase would increase productivity on the field for football, and allow for hosting of on campus soccer contests. The parent group agreed to continue to discuss fundraising ideas, with possibly two large events per year slated to raise funds earmarked for facility improvement. A copy of the facility powerpoint presentation is shared here. 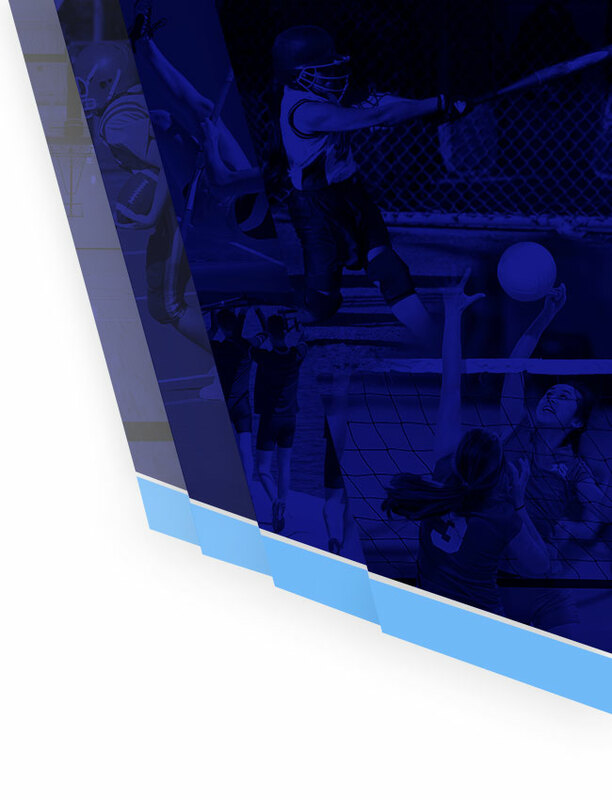 A copy of the booster information presentation is shared here. Indoor facilities of similar sized schools in Alabama. Three phases of facility improvement are planned. An indoor tension fabric athletic facility.